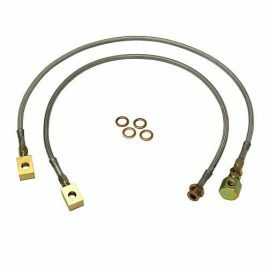 Skyjacker’s Stainless Steel Braided Brake Lines are D.O.T. 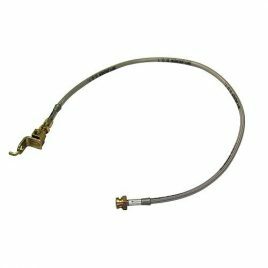 certified with added performance and durability. Skyjacker has gone to extended lengths to accommodate their four wheeling friends and to improve 4×4 braking performance. 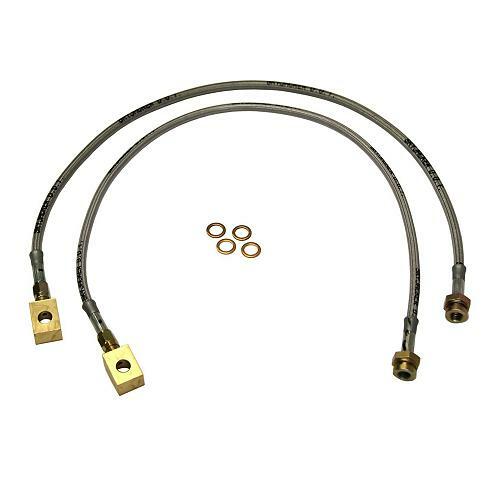 Skyjacker Brake Lines conform to all federal requirements of FMVSS106, making them D.O.T. Certified and T.U.V. Approved in Germany. All have been tried and tested in some of the most severe conditions four wheeling has to offer in virtually every corner of the world. They all passed the test and are proven in their quality of engineering, workmanship, and finish.